Philadelphia, PA: April 27-28th (<– Next weekend, always room for more). Melbourne, Australia: July 19-21st (<— Includes bonus “Psych Skills for Fitness Pros” pre-workshop with Dr. Lisa Lewis). NOTE: Early Bird rate for this event is $100 OFF the regular price and the deadline is only a few weeks away. This will be a unique opportunity for people to learn from myself, but especially Luke, who is one of the best and brightest coaches I know. This will be his first time teaching in the States. – They need to be fixed. – Focus on what they CAN do. – Show them there’s work to be done, but be emphatic on showing them success. – Use more positive verbiage. Heaviest pull in about two months. . 550×1. . There is no spoon. It’s no secret that a well-balanced meal (typically, not always) contains the “big 3″….protein, carbohydrates, and fat. But how much of each should you eat? More importantly, how do you take all three and go about conjuring up a meal that doesn’t taste like cardboard box sprinkled with sawdust? Thankfully the people over at Precision Nutrition made a nifty infographic to make things easier. Why do a herd of buffalo run TOWARDS a storm rather than away from it? You need to be more like a buffalo. The post Stuff to Read While You’re Pretending to Work: 4/19/19 appeared first on Tony Gentilcore. Andreas Saltas is a licensed Physical Therapist practicing in the state of New York. He attained his Bachelors Degree in 2009 studying physiotherapy at the Institute of Lamia in Greece. Andreas achieved his dream of working with both professional bodybuilders and powerlifters once he moved back to the states. But in addition to that, he has now also broken into the NFL, working with players from the NY Giants and Buffalo Bills. Andreas is a guy who I enjoy learning from, as he’s a creative thinker and definitely not afraid to think outside the box when it comes to training and therapy. In this show, Andreas and I talk about how a massive motorcycle wreck and his comeback from it was the driving force behind him becoming a physical therapist, his holistic approach to assessing and treating his patients, and the differences he sees between powerlifters, bodybuilders, and football players, and how he treats them differently as a result. How Andreas got interested in physical therapy, and why a horrific motorcycle accident changed and shaped his life forever. His overarching approach and philosophy when it comes to treating his patients. How Andreas goes about progressing and evolving the programs he gives his clients and athletes. The major issues he sees when treating his powerlifters and bodybuilders, and why bodybuilders are actually the harder patients to treat! His evolution into treating NFL players, how they’re different from “lifters,” and why he enjoys treating them so much. What a typical day looks like for Andreas. Are you a fitness coach or trainer looking for ways to improve the results you deliver to your clients? Want to create consistently better training programs and learn the exact exercises and strategies to improve your clients’ and athletes’ performance? The Physical Preparation 101 Training System unlocks the secrets to optimizing performance and improving movement through my unique, cutting-edge training philosophy. Help Me Get to 100! As I mentioned in the show, I’d really love to get to 100 5-star reviews of the Physical Preparation Podcast. If my show has created value for you (either now or in the past), please take 30-seconds out of your day and head over to iTunes and please give the show a 5-star review. I’d appreciate it more than you know! The post Andreas Saltas on Training, Rehab, and Becoming the Bodmechanic appeared first on Robertson Training Systems. Training hard in a well structured plan is very important but if you aren’t fueling your body properly and paying attention to your recovery, getting the results you’re after will be nearly impossible. We’ve put together some of our best content regarding Nutrition and Recovery to help you reach your goals. The Keto Diet has become wildly popular in the last few years, but is it right for athletic performance? The post Nutrition for Physique and Performance appeared first on Juggernaut Training Systems. We’re excited to welcome Cleveland Indians utility player Ryan Flaherty to the podcast. A special thanks to this show’s sponsor, Lumberlend. Head to www.Lumberlend.com and enter the coupon code CSP to get free shipping on your order of two or more bat mugs. I told Dave to listen carefully because this is the only time I’ll ever say it, but this was a pretty good meet. I'll take a 50 lb meet PR. As someone who often trains alone, I tend to have time to reflect on things between sets. It's in those moments that I see connections between training and everyday life. Here are a few ways that training and life are closely woven together, particularly in the area of discipline. Perhaps unsurprisingly, research in the softball pitching world shows that females don’t lose range-of-motion following softball pitching even though they’re still encountering noteworthy eccentric stress. Females are more likely to be hypermobile, so it makes sense that they become more unstable than they do “tight.” In short, you probably aren’t going to have to work as hard to gain ROM in softball pitchers; your efforts are better directed at regaining neuromuscular control with low-level stabilization exercises. With anterior core exercises like this, it works a bit like a seesaw: the further the arms go away from the body, the harder the exercise feels (imagine moving a little kid to the end of a seesaw; his weight doesn’t change, but the amount of force at the other end of the seesaw needed to offset him does simply because of his positioning). When an individual dumps into anterior pelvic tilt/lordosis (excessive arching) as the arms get further away from the body on a rollout, it’s one means of shortening that distance. And, it allows the individual to hang out on the passive restraints on the posterior aspect of the spine instead of using active muscular control to create stability. A better option would be a stir the pot, stability ball rollout (if you don’t go DOWN as far, you don’t go OUT as far), or even just a regular prone bridge. These regressions are easy inclusions that are tremendously helpful when dealing with less trained individuals or athletes with long limbs (and spines). If you’re looking to learn a bit more about this topic, I’d encourage you to check out my resource, Understanding and Coaching the Anterior Core. This seminar presentation is a thorough tutorial on how to best coach and program these invaluable exercises. Look before you leap into training right back after your last meet because the next four to six weeks can (and will) set up your next cycle for success... or for failure. Take time to reflect on that. Success or failure... which one will you choose? Lunges are one of my all-time favorite leg exercises. Once I got through over the “my legs are already big enough phase” and started training seriously, squats, deadlifts and lunge variations were always staples in my training routines. Now for some reason, many people assume that just because lunges are a common exercise that they’re somehow “easy” to perform. Lunges (and especially forward lunges) are a great exercise, but they definitely aren’t for beginners. When done incorrectly they can put a ton of stress on the hips, lower back, and especially the knees. If you have clients or athletes who struggle to lunge correctly, here’s how I coach and cue this exercise, as well as some technique issues you need to watch out for. Forward lunges are a challenging exercise because your client or athletes is forced to land, stabilize, decelerate, and then power up and back to the starting position. It may look simple, but this is a lot to unpack for many clients and athletes. If a standard forward lunge is too difficult, have your client/athlete start with either a reverse lunge, a split-squat, or even in half-kneeling initially. When they step forward, make sure they can feel the whole foot upon landing, and especially the heel. Many will have a tendency to drift forward onto the toes, which puts undue stress on the knees. When they step back out of the lunge, make sure to keep the core in the appropriate position. Many will have a tendency to anteriorly tilt and extend the back to help power them out of the bottom. Last but not least, make sure they maintain good foot-knee-hip alignment throughout. This is critical both when loading the front leg, and when propelling back to the top position. Lunges are an all-round amazing exercise for building stability, control, and strength, but make sure you’re coaching them up if you want to get the most out of them. I sincerely hope this video helps you with your clients and athletes. Have a great day! The post How to Lunge Without Crushing Your Knees appeared first on Robertson Training Systems. It’s been a bit, but Part III of Kevin Mullins’ “Corrective Exercise” series is finally here. I’d sorta mirrors the anticipation everyone had for the Game of Thrones season premiere this past week, except not even close. NOTE: Stressing the word “finally” above had nothing to do with Kevin actually writing the article (which he submitted weeks ago), but everything to do with ME and my nincompoopness in actually publishing it. Nevertheless, enjoy. It’s really good. 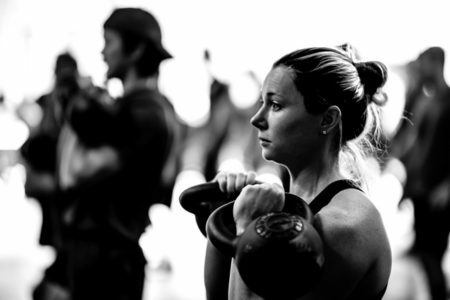 You are a fitness professional who wants to train people – AKA provide them with enough of a fitness stimulus to generate the results they’ve paid you for. You also want to help them overcome pain and dysfunction in their body. Thankfully, this series of blogs have got you covered and smothered like Waffle House hash browns. Which brings us to the final piece of the puzzle – corrective exercises for the knee and ankle. Many people who would consider personal training deal with some level of knee or ankle problems. In fact, it could be argued that everyone walking around this beautiful Earth has dealt with knee or ankle pain/dysfunction at some point in their lives. A proper discussion of these two joints, one mobile and one stable, would not be complete without a discussion about the role of the hips and feet in the function and performance of the knee and ankle. Our feet are our first and only contact with the ground during much of our lives. Any disruption of their optimal function is going to send dysfunction up the kinetic chain into the ankles and knees. Just the same, the hip, and its multitude of muscle attachments, functions, and movement possibilities can have a dramatic impact on knee function. Tight hip flexors or imbalanced anterior/posterior chain development can change how the patella tracks over the feet – a recipe for pain or less than desirable movement outcomes. As a proud fitness professional, you should be capable of assessing, correcting, and training clients past many of the common problems that might land on your doorstep. In this post we’ll explore the anatomy and physiology at play when knees and ankles are the weakness in someone’s kinesiology. We’ll discuss the interplay between the hip-knee-ankle-foot. Then, like the other articles, we’ll discuss five specific issues that most trainers encounter and show off a few new exercises that you can use today. The Femur – the longest bone in the human body is also our primary weight bearing skeletal structure. The femur’s entire function occurs at the hip. It can move through flexion and extension, abduction and adduction, external rotation and internal rotation, and circumduction. The Tibia and Fibula – load bearing bones of the lower leg. Their design allows for weight transfer in gait and for optimal loading of the lower body during any exercise that creates knee flexion or extension. The Patella – a bone unlike most others in the body, the patella is interwoven with the tendons that cross the knee joint and serves as a cover for those tendons. The structure of the patella also improves the mechanical efficiency of these tendons. The ankle joint is a bit more complex though. We must consider the bones of the foot to some degree. The Tibia – The load bearing bone from earlier is also a major contributor to ankle function. The medial malleolus, a bony growth on the inside of your ankle is located on the tibia. At the ankle, the medial malleolus plays a role in ankle eversion and inversion. The Fibula – Like the tibia, the fibula is a load bearing bone that also functions during ankle eversion and inversion. It’s bony process, the lateral malleolus, is located on the outside of the ankle. The Talus – a unique bone in a variety of ways, the talus serves as the base for the tibia and fibula to plant upon. Both dorsiflexion and plantar flexion involve the talus changing position in relation to the rest of the foot. The talus also plays a role in eversion and inversion. The Calcaneus – connected to the talus via the subtalar joint – the calcaneus functions as a base of support for the structures above it. It hosts insertion points for a variety of muscles and tendons – most notably the Achilles tendon. It is the largest bone of the foot. (Foot) Metatarsal – critical bone structures that connect the toes (phalanges) to the larger structures of the foot. The metatarsals are critical for weight transfer and distribution and while they don’t move like other bones in the body – their ability to adjust to pressure is critical for elite performance. (Foot) Phalanges – the toes are the final element of this puzzle. Understanding that the toes can and should flex and extend as a result of ground force reaction or conscious neural action is critical to optimizing the foot’s function. While there may never be a “toe day” – we need to train the function of the phalanges to ensure their relationship with the other foot bones, the ankle joint, and even the knee and hip, are optimal. It is important to discern the muscles that act on the knee and the ones that act on the hip. Sure, both are in the thigh and run the length of the femur. However, since the knee joint is designed for flexion and extension – we are only considering the muscles that do just that. With that said, realize that the muscles that do function at the hip must do so properly. Otherwise, the knee joint will act to compensate for dysfunction at the hip and that will cause a host of problems too. The following addresses strict flexion and extension of the knee joint. Now, when looking at the ankle we find simplicity and complexity at the same time. On one hand, there are a bunch of muscles that control the toes and ankle joint that aren’t needed in the typical fitness professional’s vocabulary. Simply put, most trainers don’t need to know the minor details of how the fibularis brevis functions, or where the insertion point of the flexor hallucis longus is. But they need to know they exist. (Although, more knowledge is never bad and anyone with an interest in self-myofascial release therapy should understand the interplay between these lesser known tissues). We do need to know that ankle and foot function relies on many more players than just the prime movers. We do need to understand that dysfunction at the ankle could be a myriad of things and not just a blanket statement about someone’s gastrocnemius. So, we will address the for major movements of the ankle and point out the muscles for each. When looking at this from a slightly higher viewpoint – we see that we have significantly more muscularity driving both flexions of our ankle joint. The lack of muscularity controlling eversion and inversion explains why we don’t load up on an exercise that challenges that motion. Moreover, it probably explains why “rolling” an ankle can be so devastating – we have so little musculature to control that motion. Going a little broader, we see that muscles of the lower leg have multiple functions. The tibialis anterior dorsi flexes and inverts the foot while the tibialis posterior contributes to plantar flexion and inversion. The extensor digitorum longus everts the foot while contributing to dorsi flexion. These functions are not accidental – they are essential evolutions and developments of our anatomy to meet the demands of our life. If we are to succeed in our experience as human beings, then we must be able to communicate with the ground effectively. Thus, the muscles that control our foot, ankle, and knee become our first point of contact with outside world. Understanding their function, their interplay, and their contribution to elite performance is critical to maximizing the impact you’ll have on your clients and your purpose as a coach. The function of the knee and ankle are highly dependent upon the task we are trying to perform and whether the hips are involved. For example, the knee will flex and extend during traditional deadlift, but not at the same degree that they would during a front squat. The same logic also applies to the amount of dorsiflexion needed from the ankles to meet that demand. A different example points to our running stride. The gait pattern that most elite distance runners take involve very minimal action at the ankles and toes. This sort of “hammer-foot” stride is highly efficient and puts the emphasis on the hips and knees to generate all forward locomotion. Sprinters, however, require maximum action from all the joints of the foot and ankle in order to increase velocity and compete successfully. Thus, understanding physiology of these structures requires an understanding that optimal function is dependent upon the demands of the task. 1. When the ankle is in full eversion or inversion – there can be an issue with one’s ability to flex and extend the knee. This is because of the change in position of the inferior aspects of the tibia and fibula creating an up-chain manipulation in their superior aspects (which form the knee joint). It is minor in most but could explain why individuals who live in eversion or inversion find discomfort in their knees. 2. Triple-Flexion (hip, knee, and dorsi-flexion) is the most loaded position of the body because of the major muscles that have created force (tension). In most populations, the greatest power will come from individuals in this position. The stacking of joints lowers the center-of-mass and improves the ability to generate tension. 3. Triple-Extension (hip, knee, and plantar-flexion) is the “tallest” the structures of the lower body will get. The process of going from triple-flexion to triple-extension typically generates the greatest joint velocities. 4. The running stride requires a rhythm between hip-knee-ankle-toe action. Upon foot strike, the toes should flex, which drive the ankle joint into plantar-flexion, assist in driving knee extension, and hip extension. The cycling leg does the exact opposite as it returns to the pre-strike position. The knee and ankle joints can be seriously injured during sports and accidents in life. None of the issues discussed below involve torn ligaments, broken bones, or even severe tendonitis. The conditions listed are ones that routinely plague clients who are either inactive or too active with poor function. In fact, many of the issues of the knee come from overuse of the joint without proper interaction with the hip and ankle. Runners and lifters alike may experience knee pain when their form is off. Likewise, many untrained or detrained individuals deal with knee and ankle dysfunction as a result of their sedentary lifestyles. And don’t forget about footwear. There is a cost and benefit to each type of footwear that you and your clients are wearing. Dress Shoes and Boots – great for making a suit look dapper, or kicking tail on a job site, but atrocious for allowing mobility in the foot. Basically, you feel like you are walking inside of bricks. High heels – an entire day spent into plantar flexion is not good for anyone. Spending additional time walking in them can hurt the wearer’s ability to distribute their weight once they are out of the heels. Great calves though. Flip Flops – If you are wearing these, then you are probably at the beach. Sweet. However, that sliding and gliding motion that you are using to keep them on is wreaking havoc on your ankle function while also driving too much knee extension. O-Lifting Shoes – Having your heels elevated when driving your heavy squats or cleans is awesome – can you say performance? However, if you spend most of your day in these shoes than you can bet your bottom that you’ll begin to lose optimal ankle function since you aren’t feeling the ground. With all of that said, let’s focus on the five most common things you’ll see in your clients and discuss exactly what is going on. A lot of people struggle to dorsi flex their ankle in response to loading. In fact, a lot of great coaches, including Tony, have pointed out the importance of adequate dorsi flexion for someone to succeed in a squat pattern. High quality athletes and desk jockeys can both suffer from this issue. It isn’t simply limited to an inactive or undertrained population. It must be dealt with though if someone is going to optimize the function of their hip-knee-ankle and drive greater results in their programs. Strengthening the muscles that drive dorsi-flexion while also “stretching” the ankle into these positions with bands or straps is usually the best intervention. We aim to increase mobility, improve strength and stability, and begin providing context and practice with traditional strength training movements such as the squat or lunge. A sort of unofficial name, runner’s knee refers to the over-development of the quadriceps (knee extensors) while also keeping the hamstrings (knee flexors) and glutes underdeveloped. In addition, tightness and exhaustion of the plantar flexors can lead to instability and pain at the knee joint. In fact, there is some evidence out there that shows that some runners experience a mild shift of their patella in space. Only a few millimeters – this shift can cause significant pain and contribute to the official name of the condition (patellofemoral pain syndrome). Release and relax the muscles that plantar flex the ankle and extend the knee. Strengthen and tighten the muscles that dorsi flex the ankle and flex the knee. Traditional strength training and myofascial release typically take care of the problem, although a cessation of running in the short term is almost always a good idea. One of the most misunderstood dysfunctions of “the knee” is a hip issue. Many trainers can coach “knees out” until they’re blue in the face and still get no change in the performance of their client. First, knee valgus refers to the inability of the hip abductors and external rotators to fire appropriately, thus causing a collapse once tension reaches a certain threshold (such as the bottom of a squat). Now, sometimes this only requires good coaching as the client or athlete simply doesn’t know they are doing it or that isn’t ideal that they are doing it. We must be wise though. Coaching knees out could be driving excess ankle inversion, which changes the relationship of the tibia/fibula with the knee and could lead to torque being experienced in the knee joint as the body seeks to overcorrect the inversion. This isn’t a common worry – but it is possible. The training cure though will involve strengthening the abductors and adductors of the hip to improve knee tracking in a variety of exercises. It is important to keep in mind that overtraining the abductors can lead to other problems that only arise when the adductors are forgotten about. This one sounds a little silly, doesn’t it? Inappropriate sounds like someone left their pants at home. But it points out a deficiency that a lot of people have. Whether it be from a lack of coaching and training, or the development of patterns by accident through sport and training – many people lack the right ankle position to complete the task they are attempting. Think of that client that can’t stop squatting without eversion. Every repetition pushes them into their toes and insole (often leading to valgus). It could be coaching (or a lack thereof), it could be muscle weakness, or it could be a neural disconnect between their brain and their ankles (they don’t know they are doing it). Just the same, there are people who can’t seem to run on their big toe. They’ll stride flat footed, especially on the outside of their heels, and wonder why they aren’t getting any better at running. These people have not unlocked enough plantar flexion or awareness of their inversion. It is exceptionally common to see in long distance runners. Having the wrong ankle position is coachable and trainable. You must relax what is overused and overworked and strengthen what is left behind. There will be specific protocol for whatever you are seeing. Simply look back at the muscular anatomy and select exercises and interventions that are appropriate. No really, you probably have a client or twelve who seem to have no idea how to flex and extend the hips. As a result, everything hurts their knees and ankles. Squatting hurts, running leaves them achy, and they absolutely despise lunges. They just need to discover their glutes. They need to learn how to flex and extend the hip with a lot of exercises that leave the knees out of it. So, deadlifts, hip thrust, banded abductions, Copenhagen side planks, and some anterior core work will do wonders to wake up their hips, stabilize their core, and allow them to excel and knee-dominant and gait patterns. Want to learn more about this? Check out my last installment on the hips. Your goal with this bodyweight exercise is to create a crossover effect between knee flexion and dorsi flexion. By working with the single leg variation – you’ll enhance your clients focus on one specific ankle while simultaneously exposing them to pause reps for the single leg squat variation. You can train them and correct them at the same time. Great for runners and athletes, but effective for everyone, this ankle exercise only requires a band and a seat. The goal here is to maximize both dorsi flexion and plantar flexion in the same movement cycle. This sort of training allows for you keep the muscles that control both actions in relative balance. This is not unlike being on a calf raise machine and allowing your heels to dip below the step. One day I want to call Bret Contreras and thank him for his research on the glutes. (Although this video is of Ben Bruno – a stud coach in LA who does NOT like burpees). Discovering that the hip thrust provides more activity of the glute muscles than other exercises is critical for the development of aesthetic and athletic glutes. Adding in the abduction component at the top is a sure-fire way to ensure your “knees-out” coaching cue for valgus hits home. The band ensures they move from the hip joint instead of just torqueing at the knees. Add in the isometric hold of the glutes and you’ll be sure to work the hip component of knee stability. This is an absolute torture device. Duck Walks, loaded or unloaded, drive the body into that triple-flexion position we discussed earlier in the blog. This coiled position strengthens the posterior chain and improves dorsi-flexion by keeping our feet in a set position. A highly integrated exercise – the duck walk can be used for neural prep or as a burn out after your primary work is done. Sure, its goofy and it doesn’t “seem” like it is going to do your body any favors, but try it and feel how your systems work together to hold isometric tension. We want the quadriceps and hamstrings to be in relative balance for optimal knee function. Depending on our choice of sports or training – one may overpower the other a little. That discrepancy though shouldn’t be a chasm. Hitting both versions of the Nordic curl in a single superset provides an opportunity to train the muscles in a unique way using only bodyweight. The act of sprinting is one of the most athletic things the human body can do. The whole body must get in on the act if we are to excel. Specifically, for the knee and ankle, sprinting helps drive a low-level of eversion while demanding quality cycles through plantar flexion and (mild) dorsi flexion and knee flexion and extension. Add in the function at the hip and we’ve found the perfect lower body exercise for improving someone’s function and interplay between these regions. Obviously, not every client could sprint or should sprint. Be wise with your prescriptions and coach who you are with, not who you wish they were. So, once again we conclude that we can intervene in our client’s discomfort and dysfunction with exercises that not only correct issues, balance muscles, and improve coordination, but also drive a fitness stimulus. The knee and ankle are interesting joints in a sense that they have less muscle mass around them than the hips and shoulders. But that doesn’t make them any less important. In fact, their proximity to the ground – a constant in our lives – makes them more important than most trainers think. Everything that is dysfunctional at the foot, ankle, and knee will run up the chain into the hips and spine and even the shoulders. Help your clients discover their foot stability, ankle mobility, and knee stability and you’ll help them discover a better body – both in performance and in aesthetics. Thank you to Tony for allowing me to share my ideas on his website – a treasured space on the internet. Whether you visit him for his pop culture references, his biceps veins, or his absurd level of knowledge about the body – you’ve made a great choice. I truly hope you have learned something from this series and enjoy my writing style. I poured a lot into this, and into my book, Day by Day. I hope I can download everything I have learned (good and bad) from me to you every chance I get. You can read more of Kevin’s stuff at his website HERE. Pick up a copy of his book, “Day by Day: The Personal Trainer’s Blueprint to Achieving Ultimate Success” HERE. The post Part III: Correcting the Knees and Ankles appeared first on Tony Gentilcore. As we continue our pursuit of strength, we are regularly threatened by a stealthy nemesis that rears its head between us and our goals. Lying dormant from the very beginning of our journey, this common enemy waits patiently for the perfect moment to strike—just as we think we are going to progress and often, costing us what seemed like doubtless personal records. This sneaky saboteur is what we call energy leaks. Energy leaks are often physical, but they can also be mental. We all know that well-applied tension is our ally. The ability to create more makes us stronger. Our inability to develop or to channel it appropriately makes us less strong. Often, when using lighter weights, many of us cheat our tension. We don’t generate the max contractions, needed for heavier lifts, which can lead to “bad” habits—causing us not to notice the places where we may be losing energy. At StrongFirst, we approach our training as a practice rather than a workout. We want to be intensely mindful of how we are feeling, what we are feeling, and making sure we know what to do with these valuable inputs. Arnold Schwarzenegger has attributed much of his success to an ability to maximize his concentration on every single rep. I have heard Pavel, Fabio, Phil Scarito, Dr. Michael Hartle, and many others talk about this same idea over and over again. Starting with the set-up, you want to focus intently on what you are doing—not just go through mindless motions until your ‘workout’ is done. This the difference between training with a purpose and training to maximize sweat. Through the years, I have watched many people perform a great variety of lifts: from one rep maximum attempts to students becoming SFG, SFG II, SFL, SFB instructors, to individuals attempting Beast Tamer/ Iron Maiden challenges. And in most failed attempts, energy leaks from the same holes. The good news is that with intentional practice, we can all improve over time. First, we start with awareness: identifying those leaks. Then we can focus on honing ways to do whatever we are doing better—by plugging those holes with tension. Before I get into the ‘plumbing,’ keep in mind that the purpose of a drill is to improve a skill. “Do the drill, work the skill,” as Phil Scarito says. Before using a drill, get a baseline of the skill you want to improve. Then practice the drill with a focus on what part of the skill you need to improve. Finally, recheck your skill to assess if the drill worked. If you see improvement, work the drill/skill again. If not, choose another drill. Remember: any progress is progress. Next, I’m going to address five common leaks and present a few suggestions for how to plug them. We all know that our joints are a common site of tension leakage. Lock your joints out—problem solved. At StrongFirst, we learn and practice harnessing the power of irradiation. We know how it can be hampered by not locking a joint out—an instant kink in the chain. Let’s be clear that we are talking about fully extending your joints—something that they are designed to do despite what pop-fitness magazines want you to believe—not hyperextending them. Joints that hyperextend typically distribute forces in a less optimal way which can limit the expression of strength. Those leaks benefit first from awareness, and next from building strength at the desired end range. Another common energy leak happens during the single-arm press. I have seen people miss their ½ or ⅓ bodyweight press during their SFG II and miss their Beast Tamer/Iron Maiden press. (I was one of those people.) I have also seen people just squeak out a press while ‘leaking.’ The leak is losing our lateral tie between shoulder and hip. You sometimes spot the leak in a poor crossbody connection. But I want to address the lack of strength in the same side connection. The way this particular leak presents itself is by opening up the same side oblique, or leaning the torso away from the weight as it moves upwards. Many factors can contribute to this leak: lack of focus, practicing bad habits, or lack of strength in our lateral muscles. I like to think most problems can be fixed by simply becoming stronger. My go-to drill to help someone stop side-flexing as they press is to work on single-arm farmer carries. Now you want to go heavy with this drill, however, not so heavy that you can’t feel anything tied into place. 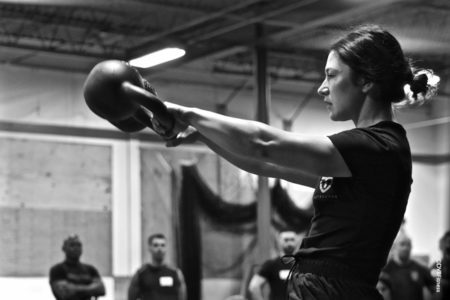 You want to feel a strong connection between the working arm shoulder and the opposing hip. The obliques on the unloaded side should be firing as well. I see people practice single-arm carries with too heavy of a load which further patterns bad habits. You don’t develop skill-transfer when you butcher the drill. Focus on feeling the movements in all of the right places. Another drill that does a tremendous job of tying together your same-side shoulder and hip is the hanging single-sided shoulder pack drill. This drill is used to help solidify your position during hanging leg raises and pull-ups. It also enables you to create and feel more tension in places where leaks commonly occur. Another common way that energy leaks present themselves is during a one-arm pushup. What you may see or feel is a loss of tension in just one of your glute cheeks. While a bit of self-inflicted palpation can help remedy the leak by drawing attention to the region, it’s usually only a temporary solution. Luckily, we have a few effective leak-plugging drills that almost instantly make you stronger. At a Bodyweight course a few years back, Master Instructor Phil Scarito used a single-leg deadlift to improve a one-arm pushup. 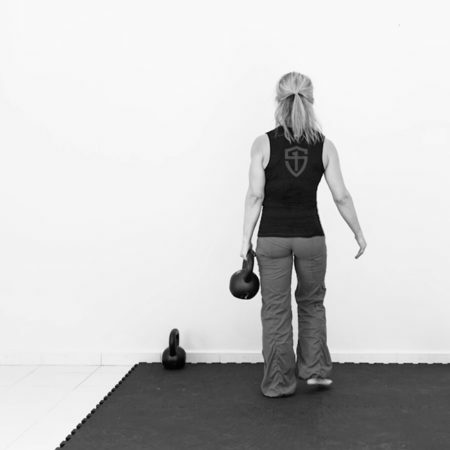 The key is to pattern the movement and build strength using a heavy, contralaterally loaded weight (hold the kettlebell in the opposite hand of the leg that is doing the deadlift). Start with the skill (one-arm pushup). Then do the drill (single-leg deadlift). Remember to focus on the aspect of the skill that you are working to improve. In this case, it’s making sure both glutes are working in conjunction with your shoulders or successfully tying the “X” together as I like to say. Then work the skill again (one-arm pushup) to see if you’ve improved. Another drill that helps to tie the “X” together or to make sure your glutes are firing is heavy single-arm swings. I like to perform anywhere from 5-10 reps focusing on cramping my glutes at the lockout. Once they feel locked in and like I am getting an even squeeze from both sides, I go back to the one-arm pushup. Play with your foot width during the swings and find what placement gives you the best feeling of glute activation. Apply that to your one-arm pushup position and see if that helps. Remember, it’s about trial and error, searching for what works for you. Another common energy leak is an inability to maintain a neutral spine in the sagittal plane (front to back movements). It presents itself as either going into flexion during a deadlift or extension during the barbell military press. While a lot of things can contribute to this, core weakness is a common culprit. An often overlooked and underutilized movement is the double-racked farmer carry. Clean two heavy bells to their appropriate front racked position, and, while keeping a tall spine, walk around making sure to keep the work in your lats, shoulders, and abs, and nothing in your low back. Maintaining this vertical plank helps to create trunk rigidity which transfers nicely to many other skills. A word of wisdom: don’t pair these with a deadlift or overhead press day. Another impressive skill that helps enhance your posture during deadlifts and barbell military presses is a heavy double kettlebell swing. The feedback is quick and ruthless: if you lose your vertical plank, the kettlebells pull you off of your feet. We do not want this. We want to root our feet into the ground and cement the vertical plank on every swing. Keeping a neutral spine throughout and finding the tension to keep us planted at the top of the swing transfer precisely to keeping our neutral posture throughout our deadlift and military press. The final common energy leaks are different as they result in the body but start in the mind. They are a lack of focus and lack of belief. Both result in loss of tension which robs us of strength and performance for the time being. I remember during my Beast Tamer training, I was guilty of both of these energy leaks. I allowed energy to slip away due to a lack of focus. I tried doing it all. But that resulted in my losing focus on the goal. Also, I didn’t believe that I could press the Beast so I approached the bell timidly. I was afraid to clean the bell and get into the racked position, which stole my strength as I shied away from the tension needed. Do not let these two energy leaks knock you off the rails. Believe in yourself and trust in the process. If you focus on the task at hand, day in and day out, then the belief should appropriately follow suit. 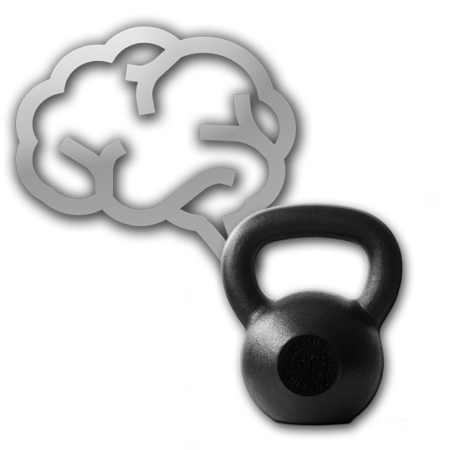 Something you may have noticed by now is how seamlessly barbell, kettlebell, and bodyweight skills work together. Each system feeds into the other. 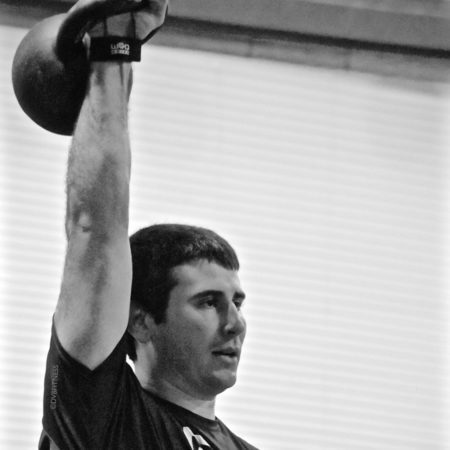 Learning how to do something better with the barbell, kettlebell or bodyweight transfers to the next tool. While it is never about the modality, certain tools can help you learn a skill better than others. And each person is going to be different so the deeper the bag you have, the better. “An inch wide and a mile deep” is the way StrongFirst operates. Each course or certification you attend allows you to go deeper and deeper. Every new skill or drill increases your ability to spot and get rid of any energy leak you may come across. When you plug your leaks with strength and tension, you get instantly stronger. We all want that in the end because the opposite is not a desirable option. 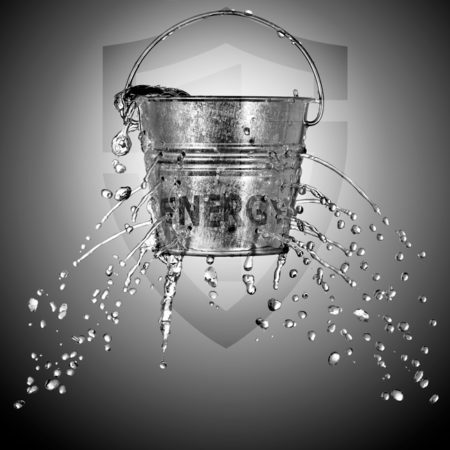 The post Five Energy Leaks to Plug so Your Strength Gains Flow appeared first on StrongFirst. Can you deadlift 600 pounds but can't budge a 225-pound stone off the floor? If you didn't know, the upper back comes into play in nearly every strongman event; therefore, a weak upper back will surely decrease your chance of winning and advancing in the sport. The principle of progressive overload is perhaps the most important concept for coaches to understand when developing athletes. It is one of the most basic differences between training and simply exercising. Unfortunately, this concept is often misunderstood and misapplied, especially when working with athletes under 18 years old. While developing athletes can be a very complex undertaking, I’d like to simplify the concept of progressive overload and discuss how to most appropriately apply it as part of an overall training program. The most simplistic way to explain progressive overload is to slowly challenge yourself to do more than you’re currently capable of doing. Without some system of progression, we’re just burning calories and making athletes tired. Sure, they may benefit from exercise, but the process of training or developing athletes should be more systematic so they progress in the safest and most efficient manner possible. Volume – the total amount of work performed. This is generally represented as the weight x reps for strength training, but it can also be represented by the total amount of sets, number of reps or distance traveled. Most of this article will focus on progressive overload for strength development, but speed & agility will also be discussed briefly. The essence of progressive overload is that your body adapts to a stimulus and slowly grows stronger or more efficient, depending on the goal. For example, if you can currently do 10 push-ups in a row, you would try to do 11. You would try to complete 11 push-ups until you can achieve that goal. The stimulus of attempting to do 11 forces the body to adapt and grow stronger. When you can complete 11, you begin working toward 12. This is a very simple version of linear progression. Linear, meaning one variable, constantly moving in one direction. Many experts turn their noses up at this basic concept because progress eventually stagnates with most people, but it is a simple way to understand the underpinnings of progressive overload. The story of Milo of Croton is another simple example of linear progression. Milo was a 6th-century Greek wrestler who picked up and shouldered a young calf when he was a young man. He picked up the calf every day as it slowly became a full-grown bull. Because he had lifted it every day, he gradually became stronger and was able to impress crowds of people by picking up bulls as an adult. The slowly increasing size of the bull provided a constant challenge that his body adapted to, and the concept of progressive overload was born. Many athletes were developed through rough versions of this basic concept, and this was the inspiration for the adjustable barbell where small weights could be added to a bar in order to provide increasingly challenging stress. Something as simple as this routine could be a great way to teach beginner lifters how to slowly progress, execute quality reps, and push through the discomfort of strength exercises. Many coaches use a “20-rep set” where they prescribe one set of 20 reps of each exercise. Instead of giving the athlete a weight that can be lifted 20 times, they pick a weight that can only be lifted 10-12 times. Once fatigue sets in and no more reps can be completed, the athlete puts the weight down, rests for a few seconds, then attempts a few more reps. This is repeated until the athlete has performed all 20 reps. Only the first “set” (when the weight was put down the first time) is recorded, but the athlete stays with the exercise until all 20 reps are performed. If the athlete performed 13 reps on the first set today, the goal is 14 at the next session. This is a way to utilize linear progression but also add extra volume to the workout because the athlete is essentially performing multiple sets. When the athlete can complete all 20 reps in one set, weight is added, a new exercise is prescribed or something else changes to increase the demands placed on the athlete. This system gets at the essence of the “double-progression” method of progressive overload in which the resistance is increased when a certain number of reps is attained. A typical example would be to select a range of 8-12 reps. You could choose a weight that could be lifted at least 8 times, but no more than 12. Let’s say you can complete 10 reps today, but cannot do 11. In the next training session, you attempt to complete 11 reps. Once 11 reps can be completed, you attempt 12 reps at the next training session. When 12 reps can finally be completed (which is the top of the rep range we selected), the weight is increased the smallest amount possible, and you start the process over again, gradually trying to perform one more rep than you were able to get in the last workout. This is an excellent way to help young athletes choose appropriate weights for their workouts, which is actually a very common issue in many weight rooms. Beginner lifters usually have no idea what an appropriate weight would be for each exercise, so they end up choosing weights based on what others are using. Testing is another way to help athletes choose weights for certain exercises, where a 1RM is established and percentages of that number are prescribed. But, this takes a lot of time, can be dangerous with inexperienced lifters, and often isn’t very accurate with young lifters. It’s also difficult (and not recommended) to establish 1RM’s for every exercise. So, this system of gradually increasing the number of reps performed, then slowly increasing the weight, is a great way to help athletes learn how to choose appropriate weights. Another way to implement this system is by using multiple sets of each exercise. Using multiple sets gives athletes more opportunities to practice technique, and the additional volume can provide a great training stimulus, especially for athletes who cannot push themselves hard enough to get maximum benefit from a single set. In this case, prescribe a number of sets and reps for each exercise, for example, 3 sets of 8 reps or 3 x 8. In this example, athletes will use the same weight for all three sets and attempt to perform 8 reps on each set. When all 3 sets of 8 reps can be completed, the athlete gets to move the weight up the smallest amount possible at the next workout. If an athlete using 100 lbs can only perform 8 reps on the first set, 7 on the second, and 6 on the third, he/she will stick with 100 lbs on the next workout. Many coaches will encourage athletes to perform as many reps as possible on the final set as a way to challenge athletes to push a little harder. This will also help you determine when they’re ready to increase the weight and how much the increase should be. In the above example, an athlete who performs all three sets of 8, but cannot do 9 reps on the last set, should increase the weight the smallest amount possible. On the other hand, an athlete who performs 15 reps on the final set is probably ready for a slightly larger increase in order to provide a more appropriate stimulus. Different versions of this scheme have been used by intermediate and advanced lifters for many years with exceptional results. The idea is that the first set should end up being fairly easy, and allows for some technique practice. The second set becomes more challenging, and the third set is where the hardest work is done. It’s also important for athletes to record their results somewhere so they can look back at how many reps they performed in the last workout as a way to set goals for the current session. Most young athletes aren’t going to remember they did 7 reps on the second set of bench press with 115 lbs. Most young athletes already have enough on their minds, so that needs to be recorded. A workout card or training software like TrainHeroic are great options for recording workout results. Teaching athletes about progressive overload is also an excellent way to teach the value of slow progression so they begin to understand the concepts of gradual adaptation, recovery, and super-compensation. Many young athletes think that they are going to get big and strong very quickly. Teaching them the value of consistency and gradual adaptation is an excellent concept for young athletes to understand so they begin to value small gains and how to schedule their workouts. The graph below should be drawn out and explained to every athlete beginning a strength training program so they have a basic understanding of how the process works and why consistent training is so important. Teaching athletes about progressive overload also gives coaches the opportunity to explain the value of recovery in the process of adaptation. Understanding how the cycle of stimulation – recovery – adaptation – super-compensation works is an invaluable lesson for athletes to learn. Most young athletes simply do not understand this cycle, and they end up either training inconsistently or too often. This also gives us the opportunity to explain how performance training fits into their overall schedule with sports practices, competitions, and other commitments. They need to see that all stress should be accounted for so they can create schedules that lead to progress in all areas. While most of this discussion has been about strength training, progression should also be used with speed training, plyometrics, and conditioning. With plyometrics and speed training, progression is not quite as simple and easy to explain because technique and volume are so important to progression. You’re not adding another rep in every workout or increasing the number of repetitions every day. You can learn more about this type of progression in the IYCA’s Certified Speed & Agility Specialist course. Conditioning programs are a little easier to quantify because coaches can easily manipulate variables such as number of reps, work;rest ratios, and total volume to gradually increase the demands placed on an athlete. It’s important to gradually build this volume rather than creating dramatic spikes just to make it extra difficult. Of course, there can always be a case made for making training difficult, but coaches need to be aware of how athletes will respond to large spikes in volume or intensity, and ensure that there is adequate recovery after this kind of session. As athletes get more advanced with their training, or enter their competitive seasons, we need to think about the concept of periodization. Through the years, I’ve seen coaches try to overcomplicate periodization and progressive overload with crazy set/rep schemes, charts, graphs, spreadsheets, and percentages that require a calculator. While certain systems of periodization can get very complicated for advanced athletes, we can (and should) keep things more simplified for most athletes who haven’t even entered college. Most of these athletes would be considered beginners in the world of strength training, and some could be considered intermediate lifters at the very most. These trainees don’t need overly complicated programs, but we should definitely change the demands placed on them throughout the year. Off-season training programs (when athletes are not engaged in daily sport practice) can include a higher volume of strength training and the overall demands can be greater. During the pre-season, the amount of conditioning and sport-specific work will increase. Once daily practice begins during the in-season phase of the year, it’s important that we continue to train, but in a way that does not induce unnecessary fatigue. This phase of training is difficult for both coaches and athletes to understand. Both groups often feel like brief training sessions are difficult to schedule and not worth it. Education is crucial here so they understand the importance of maintaining their strength gains without overly taxing their bodies. Inducing unnecessary fatigue will have a negative impact on both practice and competition performance, so the volume and intensity will be reduced. For example, an in-season athlete who has been training consistently for several months may still be able to squat during the season, but instead of doing multiple sets at a high rate of exertion, he/she may do only 1-2 sets, stopping each set before maximal fatigue sets in. This athlete also won’t train as often during the in-season phase. 1-2 training sessions per week are about all that’s possible during a demanding season. Once athletes have a substantial training base, periodization becomes much more critical because experienced lifters will not make progress as easily as beginners. Complete books have been written on periodization, and many popular training programs have been devised, but most of these programs are unnecessary until athletes have trained consistently (without interruption) for at least a year and are no longer seeing significant progress. That doesn’t often happen before college, so we can do a much better with young athletes by simply monitoring training volume and intensity and understanding that strength training is meant to supplement a sport, not be the sport by itself. When working with young or inexperienced athletes, it’s important for coaches to teach them about the training process so they have a better understanding of how they will make progress. Teaching athletes the basics of progressive overload, and using basic systems of progression, will give them an understandable framework in which to work from. They’ll be much better able to make consistent progress, choose appropriate weights, and train safely. They will also be much better prepared for more complex systems they may encounter if they advance in their athletic careers. It will also help them understand how to train for the rest of their lives. Most coaches also see themselves as teachers or mentors, and teaching athletes the value of progression can be a gift that will pay dividends for the rest of an athlete’s life. Jim Kielbaso is the President of the IYCA and Director of the Total Performance Training Center in Wixom, MI. He has authored multiple books, articles and training products and has spoken at events around the world. He holds a BS in Exercise Science, an MS in Kinesiology and has gone through multiple certifications through the IYCA, NSCA, NASM and more. Jim is a former college strength & conditioning coach and has trained thousands of athletes at every level of competition. 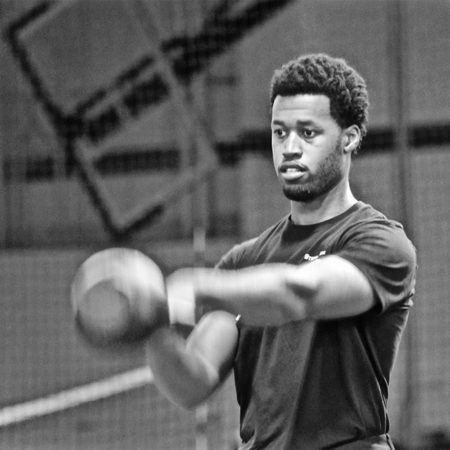 He runs a successful NFL Combine training program in Michigan and has been hired as a consultant for major sports programs like the University of Michigan Football Program and the University of Kentucky Basketball Program. The post Progressive Overload: Training vs. Exercise – Jim Kielbaso appeared first on IYCA - The International Youth Conditioning Association. For those of you who are currently dealing with a significant injury, this article, the fifth and final part of the Troubleshooting Strength Injuries series, will help serve as a road map to recovery.